In my former academic life, I studied gender. While my degree was in first Political Science and International Studies, then more specifically Latin American studies, my personal research projects and the majority of my classes had a strong gender component, whether it was Gender and War or Cross-Cultural Perspectives on Masculinity. When it comes to nonfiction, most titles that are of interest in me have focus on gender. I also like to read books in pairs around a similar theme, and when How to Be a Woman and Man Made: A Stupid Quest for Masculinity came out this summer, I thought they would complement each other nicely since they both take a pop culture approach to how both sexes perform gender in every contexts. While I love me some hard-core theory and esoteric academic texts, I thought taking a more populist approach could be equally enlightening (and since I’m reviewing books for the library’s (adult) staff picks blog, in addition to our Teen Zone one, that this would be a fun feature). Adolescence should come with an instruction guide. 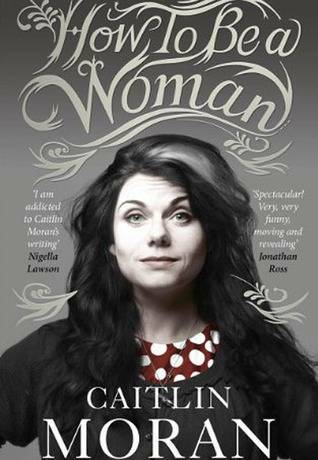 Years after suffering through it and just as the scars were finally beginning to heal, I’ve found it: British columnist Caitlin Moran’s How to Be a Woman. Luckily, it not only contains helpful sections on the first signs of womanhood (pesky things like menstruation and hair in new places), but continues to offer reflections that are useful through adulthood, such as thoughts on first encounters with sexism, an easy test to see if you are a feminist, ways to deal with fashion dilemmas, and sections on falling in love and getting married. There’s a chapter where she dissects any argument that strip clubs as empowering for women with her razor sharp wit and even a section on why you should—and why you shouldn’t—have children. It isn’t only the content (which is certainly not new) that makes Moran’s books so useful; it’s the witty way in which her message is delivered. Full of laugh-out-loud funny stories of her childhood, the self-deprecating humor in her book is endearing. Peppered with Britishisms, PUNCH LINES IN ALL CAPS, and much unfeminine cursing, this is not your average memoir. For anyone who wants their feminism with a dash of pop culture, this is the book for you. But WAIT! You’re a man, you say? Well, you could probably gain some insight from How to Be a Woman, but if what you’re really looking for is a guide to being a man’s man, you’re in luck. 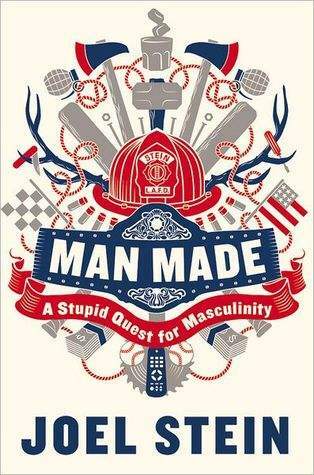 Time Magazine columnist Joel Stein’sMan Made: A Stupid Quest for Masculinity is just the book for you. Perhaps the simplest answer to the questions of gender is it’s all relative. There is no essential way to be a woman or a man. But Moran and Stein’s memoirs are entertaining attempts to explain and deconstruct what it means to perform as a man or as a woman in modern society, and both are sure to give you a chuckle in the process. Just don’t expect it to be Gender for Dummies.